Venezuelan-born artist Patricia Esquivias creates videos that weave found images, history, and personal anecdotes into narratives that convey her insights about contemporary culture. 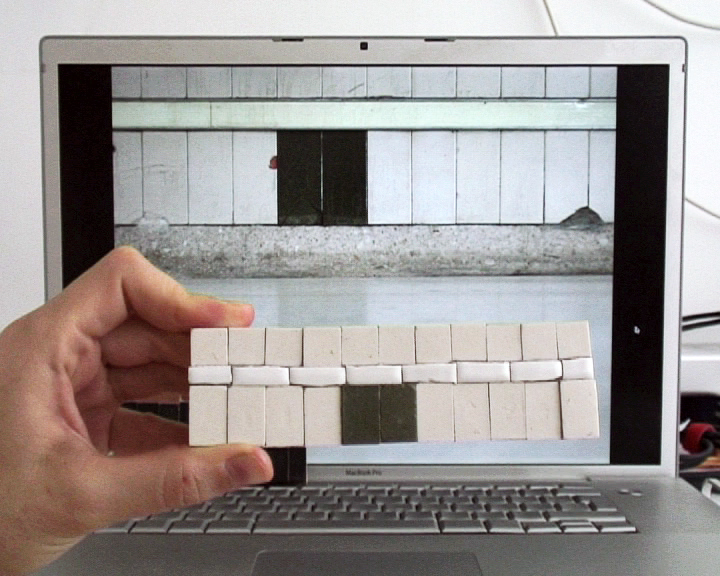 Esquivias acts as narrator in these vignettes, in which she presents clips from videos and magazines, photos, drawings, and other small objects. The camera is often trained on Esquivias’s laptop and the gallery visitor sees only her hands scrolling through digital images, playing videos, and inserting physical pictures as she speaks. Her monotone voice and meandering style of storytelling belie the significant planning and intention that she puts into presenting her paired subjects, which have included Julio Iglesias and King Philip II, Spanish raves and an associate of Francisco Franco, as well as herself and the artist Susan Brown. 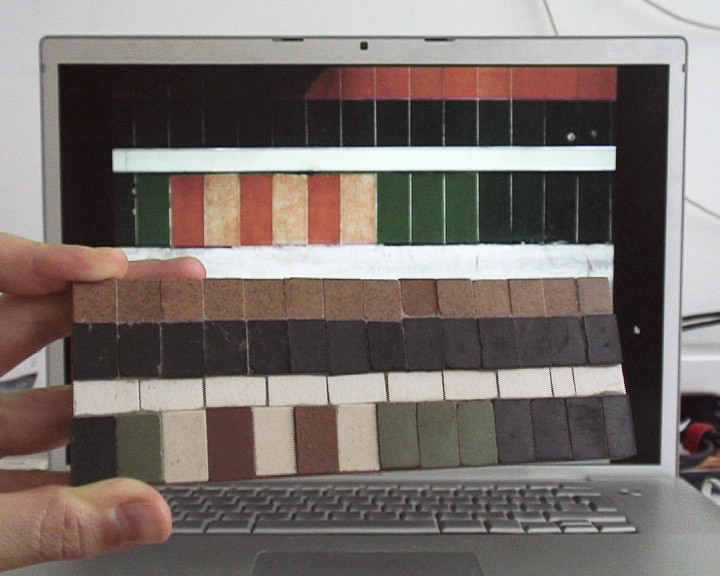 The connections that Esquivias creates in her videos are often idiosyncratic and difficult to locate, offering the viewer an opportunity for contemplation and discovery. Organized by Emily Gonzalez, curatorial assistant. Patricia Esquivias was born in 1979 in Caracas, Venezuela, and now lives in Madrid. She received her BA from Central Saint Martins College of Art and Design in London in 2001 and her MFA from California College of the Arts in San Francisco in 2007. 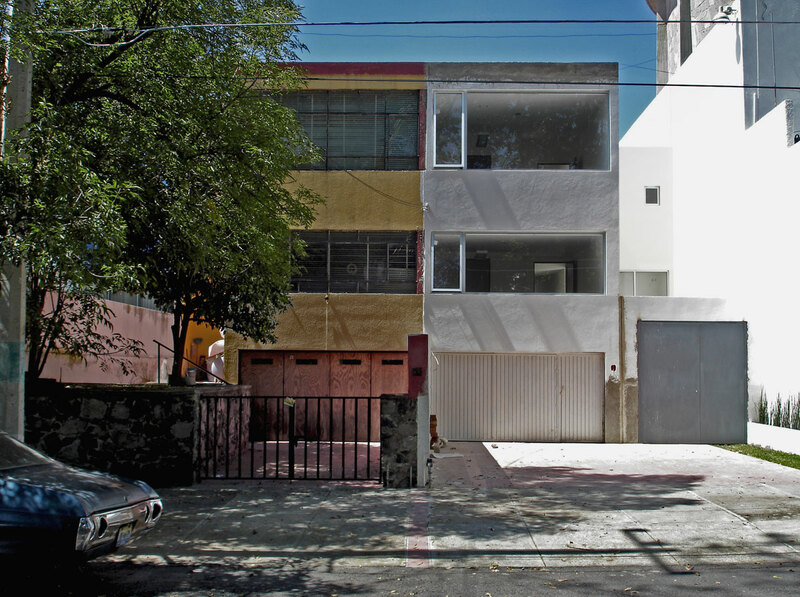 Esquivias received the EAST International Award (2007) and residencies at Skowhegan, Madison, Maine (2006); Wiels Contemporary Art Centre, Brussels (2010); and Akademie Schloss Solitude, Stuttgart, Germany (2011). Her work has been presented in one-person exhibitions at Museo Nacional Centro de Arte Reina Sofía, Madrid (2009), and Midway Contemporary Art, Minneapolis (2009). Esquivias has also participated in numerous group exhibitions, including Video Art: Replay, Institute of Contemporary Art, Philadelphia (2009); Report on Probability, Kunsthalle Basel (2009); 5x5Castelló09, Espai d’art contemporani de Castelló, Castellon de la Plana, Spain (2009); The Generational: Younger than Jesus, New Museum, New York (2009); Wrinkles in Time, Instituto Valencia de Arte Moderna, Valencia, Spain (2009); Bending the Word: Matrix 226, University of California Berkeley Art Museum (2008); When Things Cast No Shadow, Fifth Berlin Biennial for Contemporary Art (2008); and Beyond Paradise, Stedelijk Museum, Amsterdam (2008). Patricia Esquivias combines historical narratives and personal anecdotes in videos that convey her wry insights about contemporary culture. The camera is often trained on the artist’s laptop, wall, or desk, and the viewer sees only her hands scrolling through digital images, playing videos, and inserting pictures—magazine cutouts and prints—before the camera while her voice narrates these vignettes. Her speech pattern has many breaks, pauses, and repetitions, and although she uses notes, her narration feels unscripted and off-the-cuff, belying the intention and planning behind her work. Esquivias has lived in a variety of places throughout her life: born in Caracas, Venezuela, and raised in Madrid, she attended school in London and San Francisco and has been awarded residencies in Skowhegan, Maine; Brussels; and Stuttgart, Germany. Now back in Madrid, she has also lived in both New York and Guadalajara, Mexico. These places have become the inspiration for and locations of many of her works. Her videos are records of the places she has been and the stories she has collected through her travels. At the beginning of her early video Folklore I (2005), the first in a series of four works, Esquivias shows a diagram of two triangles that touch at one corner. The peak of each triangle represents a single event, while the bases of the two triangles that touch signify “history and everything else.” This diagram sets the stage not only for the series but also for much of her work since. 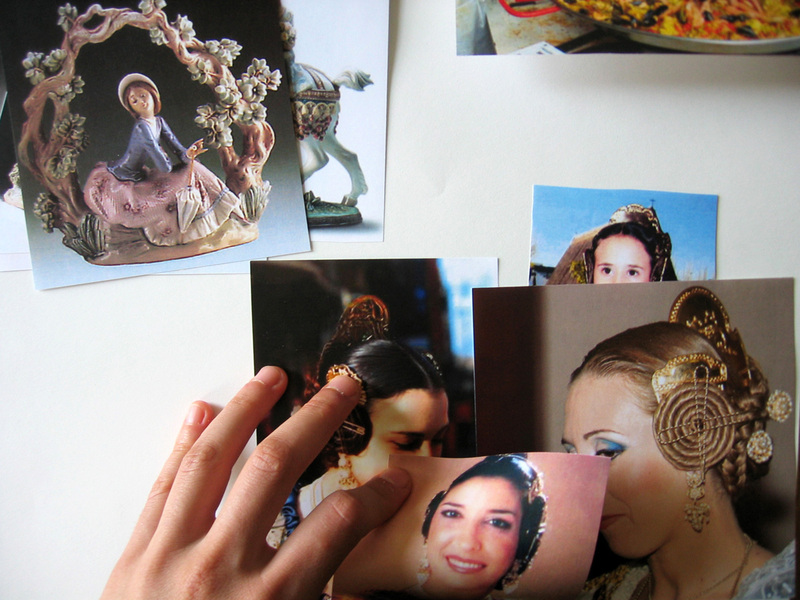 In each of the videos in the Folklore series (2005–9), Esquivias presents short lectures on a pairing of tangentially related subjects connected to the overarching theme of Spain, a recurring subject in her work. The Spanish Empire’s influence on Latin America plays a prominent role in this series and is often an undercurrent in her narratives, similar to the ways in which the shadow of Francisco Franco’s rule seeps into much of contemporary Spanish culture. Her father left the country for Venezuela during Franco’s dictatorship, and their family moved back in the 1980s after he and his regime had been dead for years. The intertwined relationship between Esquivias’s personal life and Spain’s political trajectory appears again and again in her videos. Like the Folklore series, Esquivias’s four-part series Reads Like the Paper (2005–10) was created over several years. Each of the videos contains a succession of short films that feel like amateur news segments. In this series, Esquivias makes quick observations about videos and photographs that she has taken, sometimes creating playful juxtapositions and other times simply musing aloud. Reads Like the Paper leaves the viewer struggling to make connections between its various segments. The series becomes less like a newsreel and more of a comedy act, a string of one-liners that quickly unfold before the audience has a chance to slow down and contemplate them. Each segment begins with a numbered title card, which provides a brief break. The fast pace of the work hooks viewers, keeping them in a state of anticipation. Employing her quirky sense of humor to cushion her often poignant observations, Esquivias subverts the viewer’s understanding of the images and creates a plurality of readings. Esquivias is currently producing a new series of videos that focus on her experiences at various artist residencies around the world. 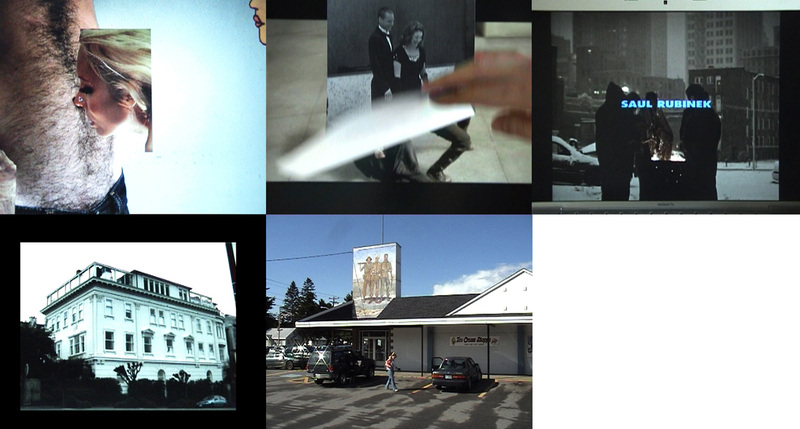 Of a short stay (2010–11), a two-channel projection, presents a group of home videos recording her time in various cities, which go unnamed. She reflects on incidents that occurred during her visits and shows her curiosity about the different customs of each host city while still connecting them to her own experiences. At one point in Of a short stay, Esquivias predicts that two future residents will play chess during the following year’s residency, and she tries to decide what their next move will be. This moment of decision making serves as a poignant metaphor for the role that residencies play in her career and those of many other artists. They allow artists to work on their projects while having the security of a hosting institution. Moreover, they offer the chance to visit different cities for an extended period and to experience them as residents rather than tourists, often providing inspiration for new areas of exploration for artists like Esquivias. The videos that Esquivias presents at the Hammer Museum are full of dichotomies that create conflict for the viewer. Artistic austerity and wit are juxtaposed in the Reads Like the Paper series; the pull between modernization and preservation is explored in The Future Was When? ; and the artist’s meandering storytelling undermines the insights offered in Of a short stay. Even the modes of the works’ presentation create a tension in the gallery. The projections of the Reads Like the Paper series and Of a short stay keep the viewer at a distance, while The Future Was When? is shown on a monitor, which requires the viewer to come closer. Esquivias’s style straddles these opposing subjects and undercurrents, and the connections that she outlines in her videos are often idiosyncratic and difficult to locate. The videos demand patience and attention, skills that can be forgotten in today’s multitasking culture, but the viewer who makes the effort is rewarded with a humorous space for contemplation and discovery. Hammer Projects is made possible through a major gift from The Horace W. Goldsmith Foundation. Additional generous support is provided by the Los Angeles County Board of Supervisors through the Los Angeles County Arts Commission; Good Works Foundation and Laura Donnelley; Kayne Foundation—Ric & Suzanne Kayne and Jenni, Maggie & Saree; Susan Bay Nimoy and Leonard Nimoy; the Department of Cultural Affairs, City of Los Angeles; and the David Teiger Curatorial Travel Fund.